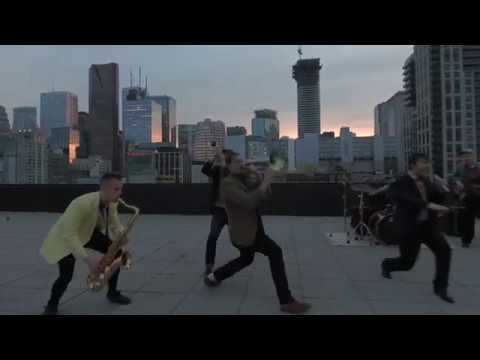 Toronto’s scorching 8-piece funk-fusion band, Accolades are working on their second EP, Whatchu Got?, and they just released their video for “Electric Groove”, featuring world-class trumpet player, Alexis Baro. The band writes, “Electric Groove, the Accolades’ first single released under Akashic Rekords, is a high-intensity funk anthem. Electric Groove boasts powerful blasts of horns, a phenomenal rhythm section, and the powerhouse vocals of Thomas Thurley, bringing together a gleeful and groovy piece. You can catch Accolades in Owen Sound on June 1! Grab your tickets HERE, and check out the video below.